Most Supplies Provided! Enjoy creating a hand stitched meditative collage as theresa shares the secrets behind her Quirky Embroidery artworks. Learn ways to use hand dyed fabrics (including doilies and textured fabrics) to assemble a background collage and simple embroidery stitches and “stitch meditation” style sewing to transform that layered base and a focal image into a fiber work of art. Students will be provided a choice from several images created by theresa mARTin, or if you have created your own digital collages and have an image you’d like to provide, you may email us to make arrangements. If you already know a lot of stitches, wonderful! If you don’t know how to embroider or sew, three simple hand stitches will be taught (basic sewing skills are all that’s needed to do the embroidery/sewing). Your registration fee includes a $10 kit fee, which includes your choice of digital collage art, a variety of hand dyed fabrics, and trims, regular cotton embroidery threads in a wide range of colors and metallic Japanese threads in many colors. Student Supplies: please bring a 6-inch diameter embroidery hoop and embroidery needles (Tulip Needles are available for purchase at Artistic Artifacts) with you to class. Optional supplies (no need to purchase if you don’t have): your own hand dyed fabrics, doilies and trims, Tentakulum and/or Wonderfil Specialty Threads and small beads, buttons, charms, etc. that can be sewed onto your mixed media piece. Visit Theresa’s blog to view her Quirky Embroideries for inspiration. 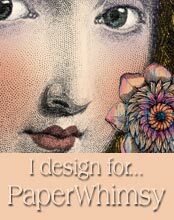 Categories: Blog | Tags: Artistict Artifacts, Beading, Digital Collage, embroidery, Mixed Media, polyvore | Permalink. I found this little Pentalic Traveler Black Sketch Book on a visit to a local art supply store. It’s only 3″ x 4″ and was sweet to hold. I opened it and saw all the black pages, some drawn on by customers with metallic pens. It was love at first sight and a quick impulse buy. I’ve had hours of fun using metallic gel pens free drawing designs. If you’re interested in finding one of your own, here’s a link to their website where you can read about the different books they make: https://www.pentalic.com/traveler-pocket-journal/ They have a where to buy link. If you get one, show me what you do! Categories: Blog | Tags: black sketch, designs, Drawing, Gel Pens, Pentalic Traveler | Permalink.